GoPro is the world’s most flexible camera to capture stunning 4K video footages and make them adorable. It is a great tool to record high-resolution videos in any situation with a full control over the process. Being waterproof and wearable, you can take it even to the underwater and shoot stunning 4K video footages of moments you live. As we know, a 4K video recording will result in a huge file size. It will consume a huge space in your storage which will also affect your video playback. Can you share a 4K video by email or social media just like a normal file? Certainly not. Your data bill will increase and even though most of the times the upload will fail because of the file size limitations set by the corresponding programs. Compress video is the best solution to reduce the size of your GoPro video. There are several 4K video transcoder apps in the online market. 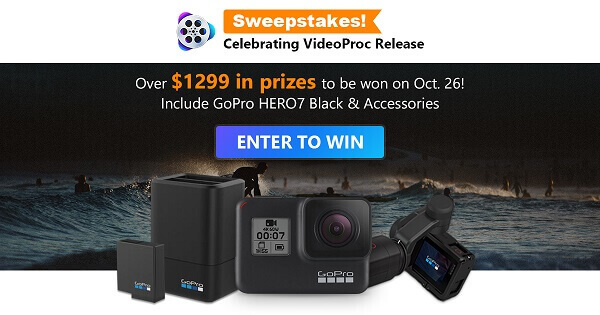 But quality is the important factor you need to consider while choosing a GoPro editor. Our video processing tool should be able to edit and compress video footages without compromising the quality. In this article, we’ll show you how to edit a GoPro 4K video like a professional. 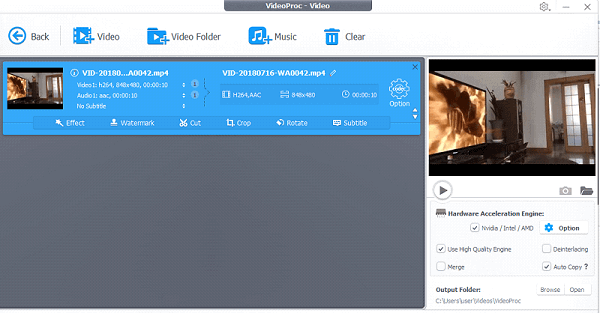 Download VideoProc– the newly released video processing and editing tool for GoPro 4K videos. It is an easy, user-friendly app to edit HD and 4K video footages taken by popular action cameras like GoPro, DJI, smartphones, drones etc. Unlike other video processing apps, it doesn’t require any professional knowledge from your side to handle the operation and can be easily used even by the beginners. Another advantage of VideoProc is that it takes less space in your hard drive. So you can edit any 4K video files without lagging or freezing the system. 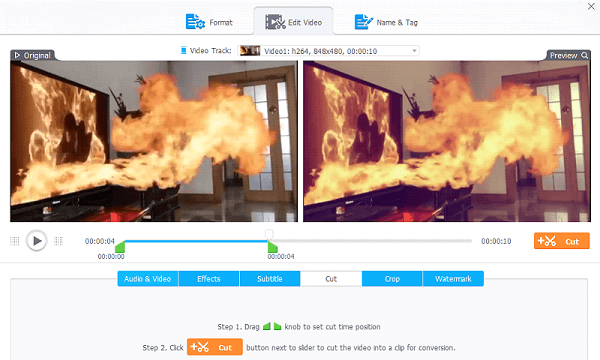 VideoProc is a powerful video processing software to customize and compress video footages including 4K UHD videos, hi-speed, and large-sized videos. 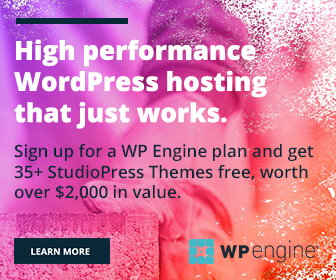 It is lightning fast and lets you perform many operations like trim, cut, crop, watermark, adjust colors, adjust audio, add effects etc from a single place. It can also convert and extract contents from DVD disks, and generate output videos for various devices, apps without losing the quality. After installation, open VideoProc on your computer. Click the Video+ button on the top to select your 4K video that you want to process. Select your GoPro video from the system media library. Once you selected, it will appear in the VideoProc interface along with the quick options to add effects and subtitles, cut, crop, watermark and rotate the video. I decided to add some cool effects to the video. Let us check how it works. 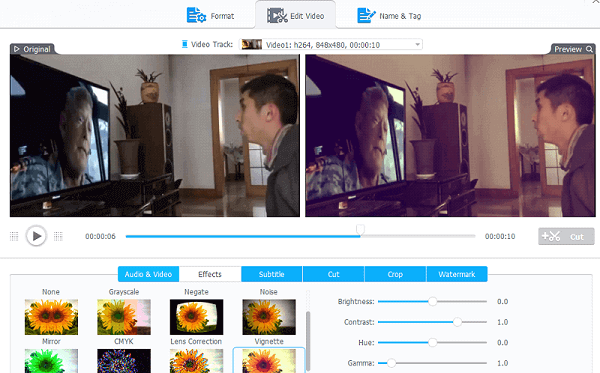 VideoProc is an advanced 4K video transcoder that offers many video effects and controls to edit and beautify your video. Choose an effect you like from the bottom panel and adjust other settings if needed. Check how your output will look like in the preview pane in real-time and make adjustments to deliver a professional quality video footage. 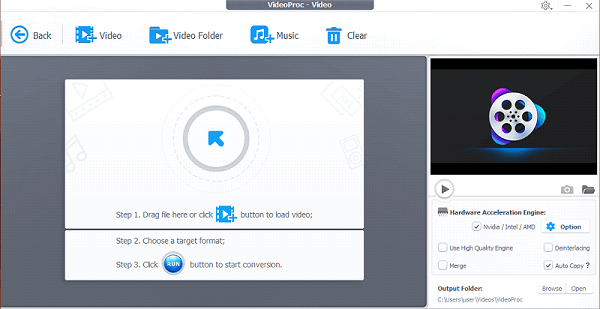 VideoProc is an all-in-one video processing software to edit, customize, resize, and compress video files. Being beginner friendly, anyone can use it with a basic knowledge of the computer. Switch in between different tabs to manage your editing operations. Once you finished, click the Done button. It will automatically detect the hardware acceleration engine installed on your system. But you can change it to a secondary engine by clicking on the option button. Select ‘Use High-quality engine’ checkbox and output format for your GoPro video. Click the Run button to begin the process. The video processing will take sometimes depends on the size of the file. 47X real-time faster as the GPU hardware acceleration is used to speed up the video processing. And when completed, it will appear in your output folder. Step 2, Submit your name and email address as 1 entry. Perform other simple tasks like social media share, Facebook page like, and Twitter follow to get additional entries and thereby increase your chances to win the prize. The sweepstake is open to all and it doesn’t require any purchase or payment to join and win.